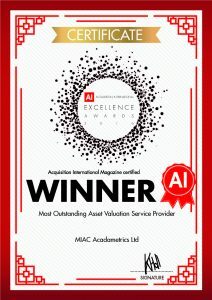 “We are delighted that MIAC Acadametrics has been recognised and awarded this accolade for our work in providing asset valuations to our clients across Europe and the UK. 2016 has seen our business grow across all our core services as well as being noted for the launch of our new Due Diligence business. In particular, our Collateral and Rental Index and AVM services, which are utilised in our UK asset valuations, have seen further significant uptake.